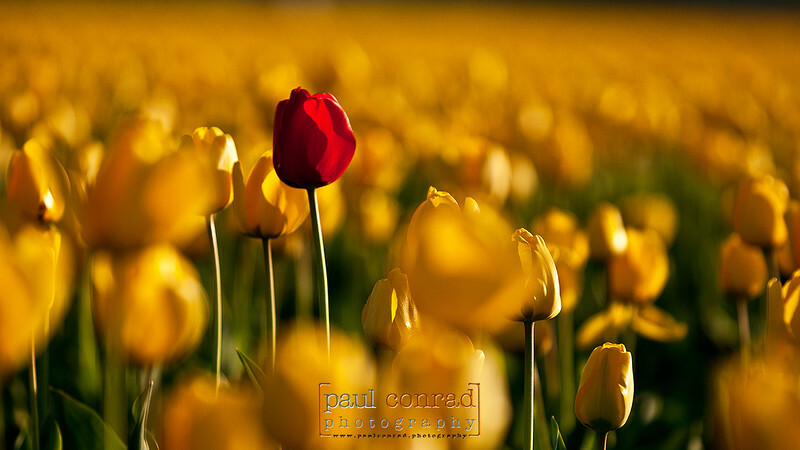 Tulips blooming at Rozengaarde Tulip Farm in Skagit County, Wash. © Paul Conrad/Paul Conrad Photography – Rights limited to laptop/desktop computer usage only. No printing allowed. For more downloadable photos, visit the gallery Downloadable Wallpapers and get your today! 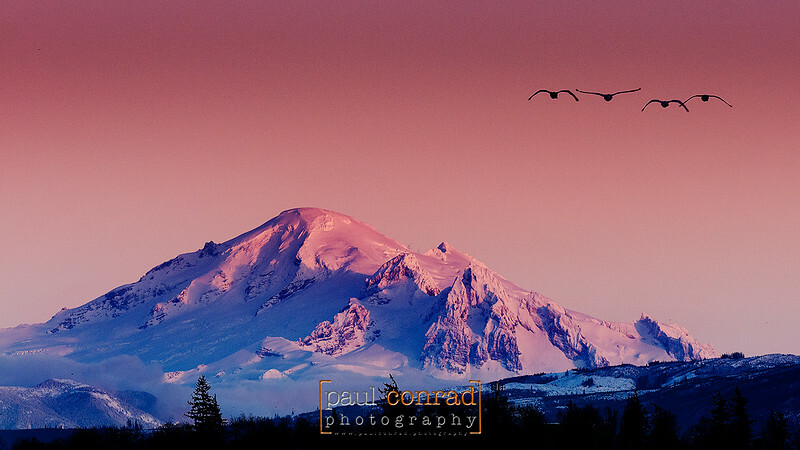 The alpenglow on a snow-capped Mount Baker as seen from Ferndale Road north of Bellingham, Wash., on Friday Jan. 11, 2013. © Paul Conrad/Paul Conrad Photography – Rights limited to laptop/desktop computer usage only. No printing allowed. Mt. 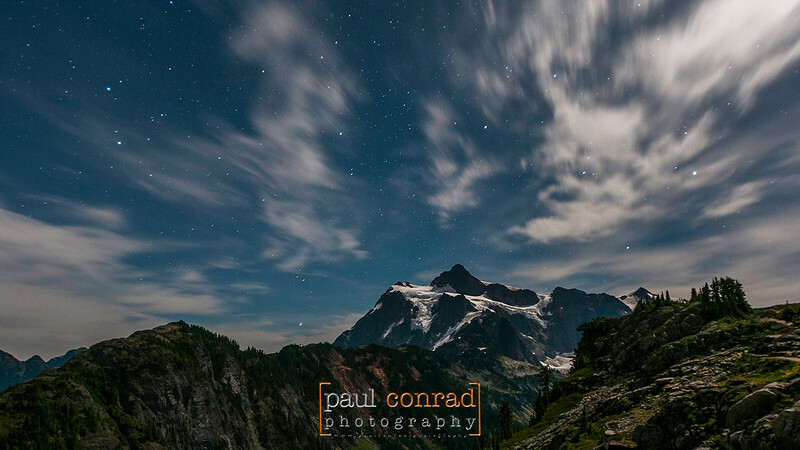 Shuksan is bathed in moonlight as stars leave trails as seen from Artist Point in the Mt. Baker-Snoqualime National Forest in western Whatcom County east of Bellingham, Wash.© Paul Conrad/Paul Conrad Photography – Rights limited to laptop/desktop computer usage only. No printing allowed. 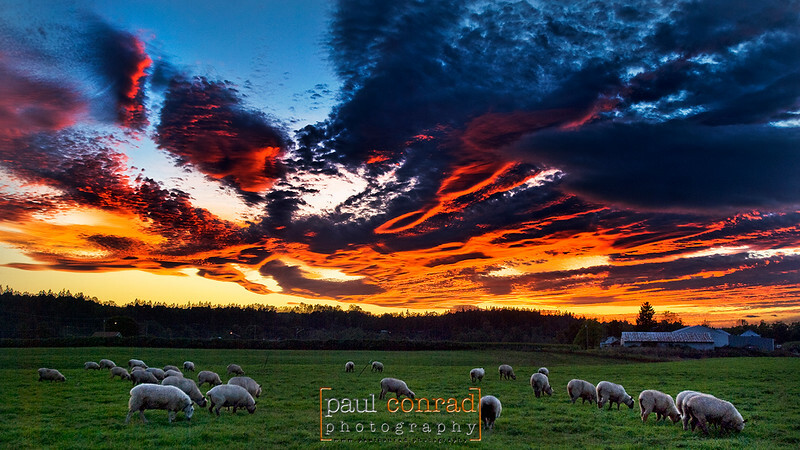 Sheep graze under as a blazing sunset ignites the clouds over Snohomish County, Wash. © Paul Conrad/Paul Conrad Photography – Rights limited to laptop/desktop computer usage only. No printing allowed. 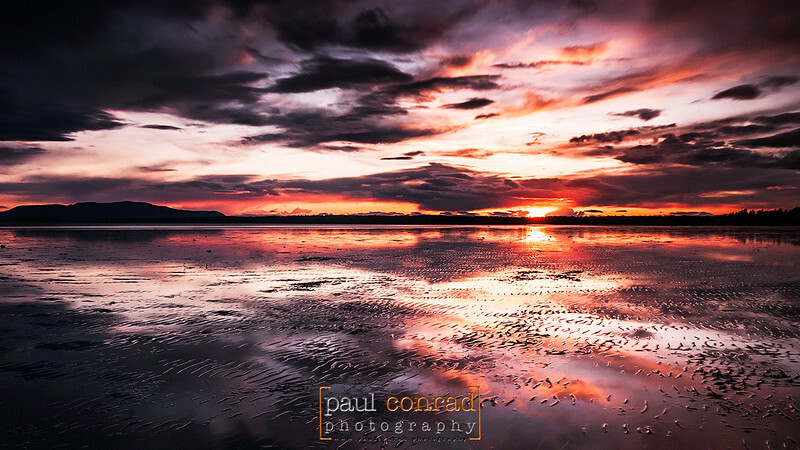 The setting Sun is reflected off the mudflats of Bellingham Bay during low at Locust Beach in Bellingham, Wash. © Paul Conrad/Paul Conrad Photography – Rights limited to laptop/desktop computer usage only. No printing allowed. Don’t forget to sign up below for updates to my blog so you don’t miss on other postings with tips and tricks to improve your photography. 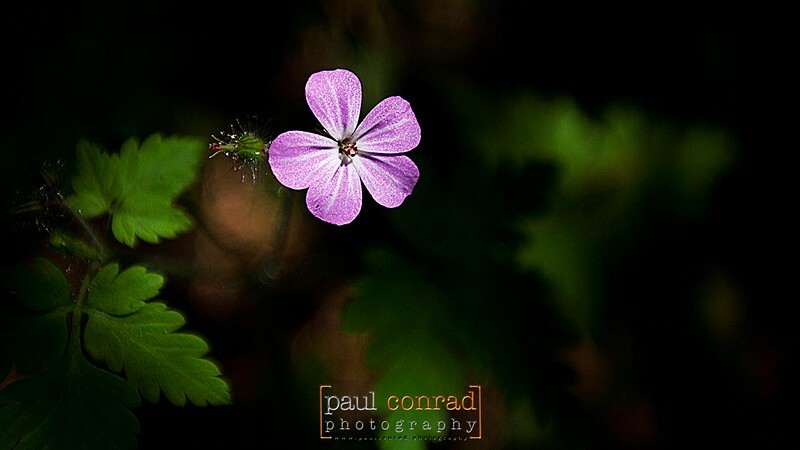 Paul Conrad is a talented and skilled award-winning photographer living in Bellingham north of Seattle, WA, in the Pacific Northwest. His work has been published in newspapers and magazine throughout the United States and in Europe. He is available for assignments anywhere in the Pacific Northwest. Although his specialty is photojournalism covering news, sports, and editorial portraits, he also is skilled in family portraiture, high school senior portraits, and weddings.